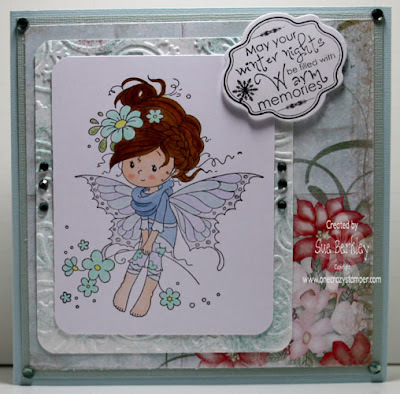 This months winner will be sent Wild Rose Stamps!!! It is amazing how much we take just about everything for granted. Due to the ice storm a lot of people have been left with no hydro for at least a week now. It couldn't have come at the worst time as it was also Christmas week. Now that Christmas Day has been and gone, things are getting back to normal, however there is another storm on the way. For my last OCS post for this year, I have used the Winter Season stamp set from Heartfelt Creations. 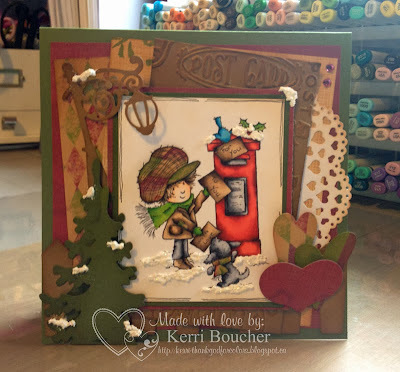 There is still a bit of time to enter this month`s Winter Holiday challenge for a chance to win a prize package from One Crazy Stamper. As Wednesday is January 1st this means a brand new challenge as well as being the start of a brand year. Stay tuned to Lora's emails regarding some amazing new things that will be happening at both the OCS online store and the brick and mortar store. Merry Christmas crafty friends! I hope you all had lots of family fun days, I know I sure did. Now that Christmas is over we are now finally celebrating my daughters 4th birthday. which was on the 16th, but her party is today. 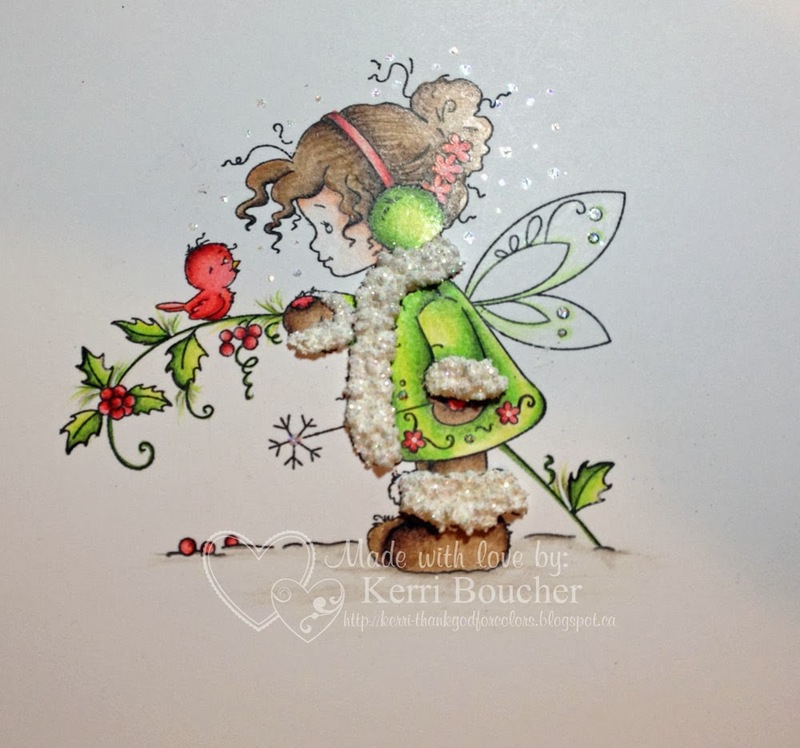 I used a High Hopes stamp and a few of my new glitter pens and several of my fav dies. I hope you can handle all the pink, I think my daughter will love it. 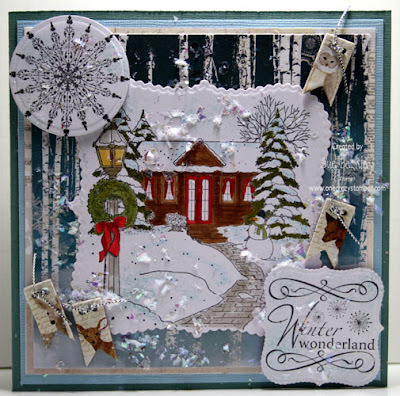 Have a crafty day and join us in our Winter/Holiday Challenge! Hello and Happy Friday! I sure hope that you had a fabulous Christmas and maybe you are still keeping the Spirit going and visiting Friends and Family through this weekend! Until Next Time, Keep Crafting & Happy New Year!! Christmas Day has come and Gone!! Ok Christmas Day has come and gone…as you can see it is no card..but there is a coloured image. You guessed it no card, no time between moving, Christmas and doctor appointments I had no time..The other day like yesturday I decided to sit down and colour. I have not just sat and coloured well for…FOREVER..and this is the outcome..
Well thks for stopping by I hope your Christmas was good and I would like to wish you and your family a very HAPPY NEW YEAR!!!!! Merry Christmas and See You Later! Good Morning!!!! A VERY MERRY CHRISTMAS TO YOU!!!!! The card I have made to show you today is a special one for me as it is my personal reason for celebrating today. I used a stamp from the High Hopes line called Precious Nativity. It is minimally embellished so the stamp can be the focus. Supplies Used: Copic Xpress It Blending Card Stock, Memento Tuxedo Black Ink, High Hopes "Precious Nativity", Copic Markers, Your Next Stamp "Fishtail Banner Set", Prisma Chalk Edger"Knotted Wood"
Thanks for coming by on this special day. I hope this is not good bye but see you later. Please continue to come visit the ladies here each day to enjoy their lovely creations. Please come by my blog if you want to keep in touch and see what I am doing. The link is: Princess Paper Projects. Until we meet again, keep crafting. Wishing everyone a very Merry Christmas and all the Best in 2014!!! 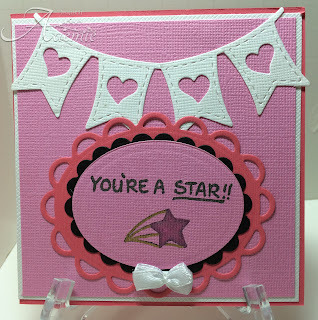 Thanks for coming here to see what my card is for our challenge at One Crazy Stamper is. Winter/Holiday Theme this month, and I've had fun making all these cards. My great-niece birthday is November and she always gets winter cards, so I thought I would get a flower theme going, except the stamp image is Two-Turtle Doves and sort of Christmas, but she is so cute, I just had to color her up and make this card for Aubrie! I am sure she loved the card, and the flowers and colors. eagerly awaiting the arrival of Santa Claus. 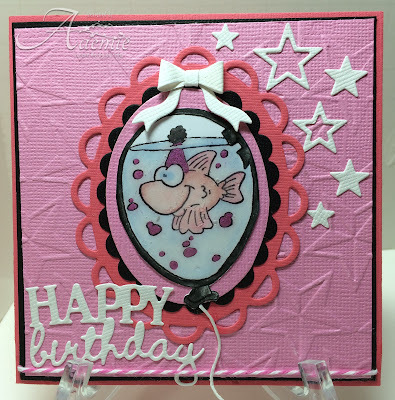 For today's card for One Crazy Stamper, I have definitely done something different. 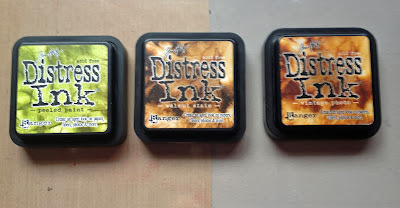 I have used three different dies and no stamps. 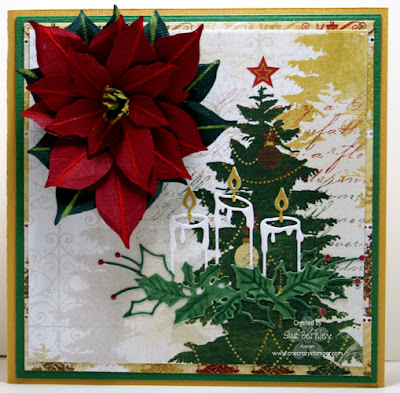 The Poinsettia Die is a Sizzix Die and is in the Susan's Garden Collection. To see how to use these dies and the pan pastels, check out my Card Layers and Susan's Garden Tutorial. You still have time to enter this month's Winter/Holiday challenge for a chance to win a prize from One Crazy Stamper. As you can do online shopping over Christmas at One Crazy Stamper, keep a careful watch for some new products. Until next time, keep busy crafting and Have a Merry Christmas and Happy New Year. Hey crafty friends! 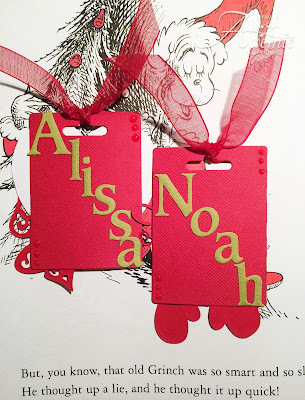 For my post today I made two tags for my little ones, these will be attached to their one special Christmas gift. I'm using two cute snowman stamps from High Hopes and they are coloured with prismacolor pencils. 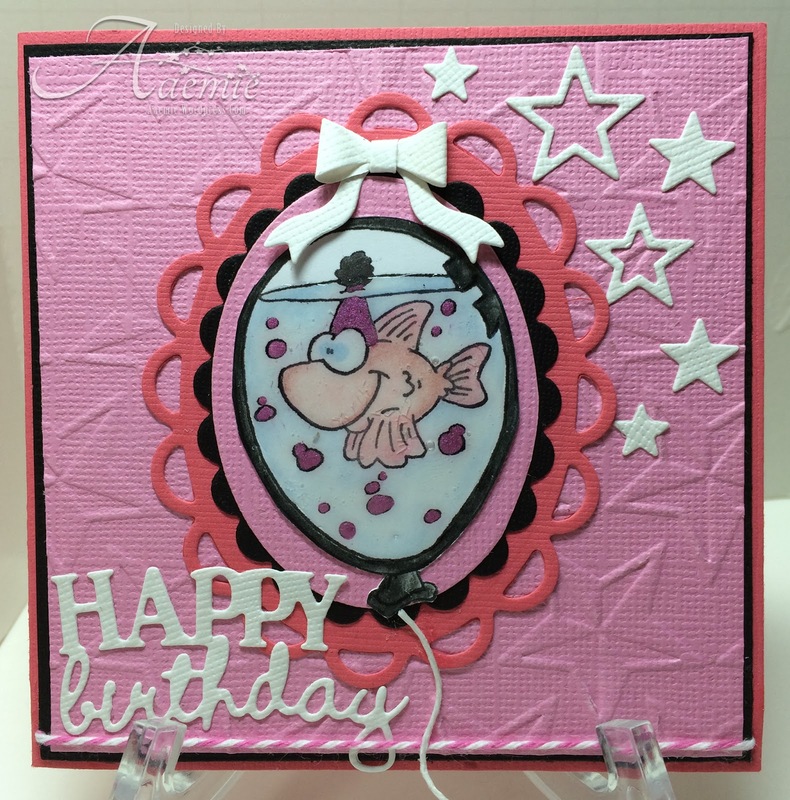 I used a tag die, which I cut with cardstock, then again with dp and layered them. 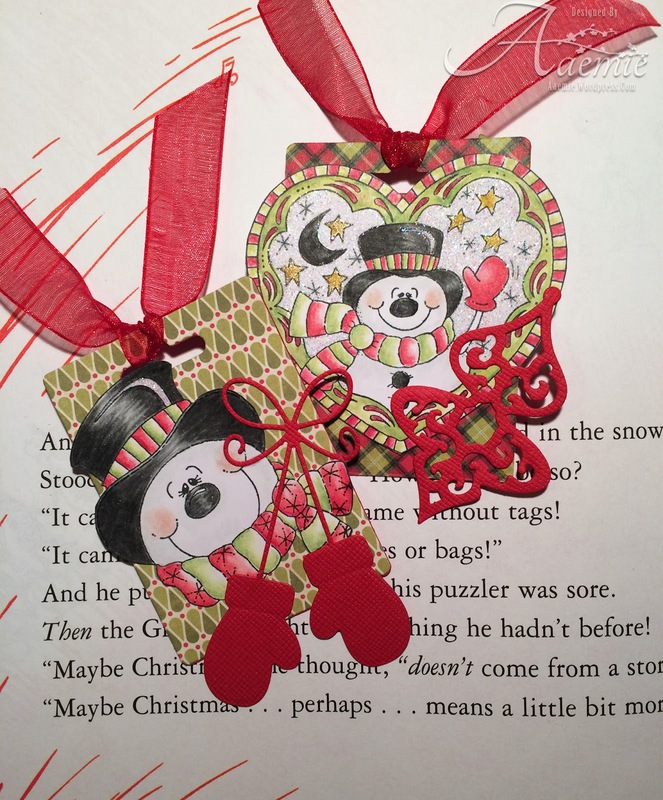 A few added christmas dies, some red ribbon and there ya have it! Now its your turn to create something and join our Winter/Holiday Challenge! Wild Rose is in the House!! Good morning friends this is another Christmas card for a friend…The image is from Wild Rose Studios..image name is ANTOINE AT POSTBOX..I stamped it with MEMENTO TUXEDO BLACK.. coloured with COPICS and shaded with PRISMA PENCILS..Copics are pictured below.. just click on the link below the pics and bang you are at the store..
these are the inks I used to distress my edges..hope you like again these are found over at ONE CRAZY STAMPER!!! I also used SNOW-TEX and GLAMOUR DUST..Various dies used as well..
Merry Christmas and I hope you have a great Holiday Season…HUGS!!! Good Morning. It is Wednesday and my day to share my creation here with you at One Crazy Stamper. By now I would figure most of us are finished our Christmas cards, tags and other projects but there always seems to be the one person we may forget. This was an "extra" card I made in case that person came to mind. :) It uses a stamp from the High Hopes Christmas Release and I kept it simple so that it could be used for a male card as well. There is still time to enter the challenge of "WINTER/HOLIDAY" for the month of December. I know I enjoy seeing all of the great creations you make for us. I will have a post for next Wednesday which is Christmas Day but if you miss it because of family commitments, I just want to wish you and yours a very Merry Christmas and all the best for the year 2014. Only one more week to go until it's Christmas Eve - where has this year gone!!! For todays post for One Crazy Stamper I have used the beautiful Christmas Cardinal from Just Rite Stamps. For this card front, I stamped the image three separate times - the first with brown ink on the gold cardstock which is the base - I cut out the oval in the center of this base to create the opening for the blue background. 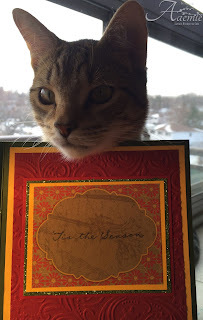 The second image was stamped and embossed with brown embossing powder on the same gold cardstock. After the embossing cooled, I rubbed Old Gold Viva Decor Inka Gold over the raised pattern, then fussy cut the resulting frame which is raised up with pop dots. The final stamped images are the cardinal and sentiment frame. I colored the cardinal with Copics, fussy cut, and then attached to the card front. Sakura's white Glaze pen added the final highlights to the berrries, and the snowflake dots on the blue central oval. Hello friends and crafters, another card for our challenge at One Crazy Stamper. Which is "Winter/Holiday", and I have been looking at some of these monochromatic cards, or similar, like with one other color. So here is what I came up with. 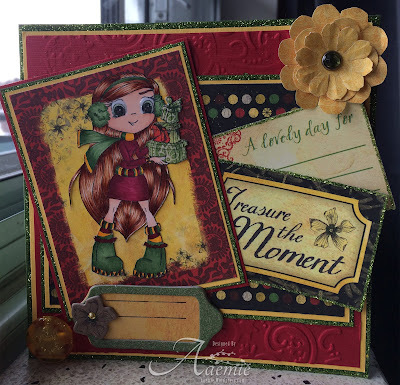 Please check out Lora's store One Crazy Stamper as she has new items daily in there, and it is always great to stock up on supplies. You still have time to play along with our challenge so do enter you project here. Have a great day and happy crafting! I used the sentiment stamp from the Heartfelt Stamps-Bright Christmas, Spellbinders-Poinsettias, Asisan Motifs, and Twisted Metal Tags & Accents, 3D Foam, Glue Dots, Rhinestones, Copic Xpressit Cardstock, I made the back ground paper using Versamark Pad and white embossing powder, then did a resist images with ink and I used a dauber and sponge for that. Copic Marker-R27. Some Stickles on the edges of the petals and on the letters in the Christmas word. With yesterday's and today's weather, there is no doubt that winter has arrived even though it isn't officially winter until next Saturday. 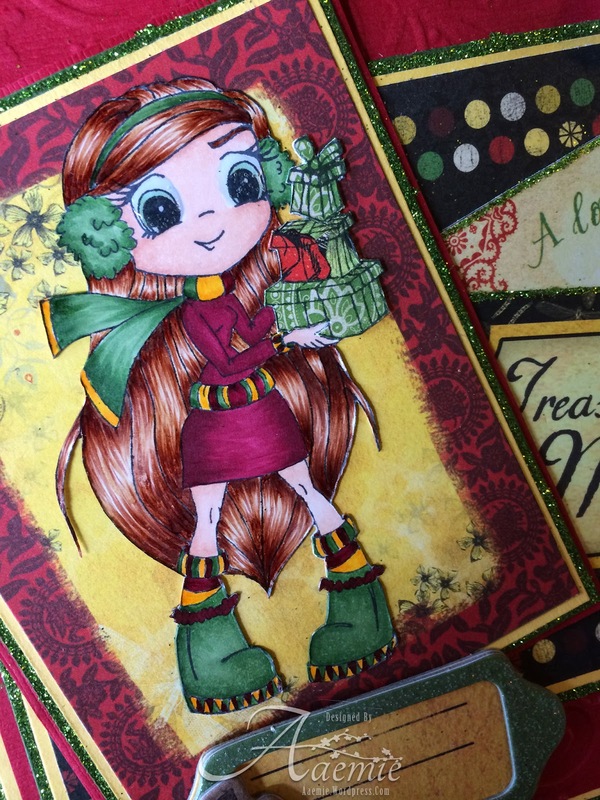 There is still plenty of time to enter this month's Winter / Holiday challenge for a chance to win a prize pack from One Crazy Stamper. Make sure you check the store One Crazy Stamper for some amazing new products that are amazing. Hi my fellow crafty peeps, today I have a bright and glittery card to share. 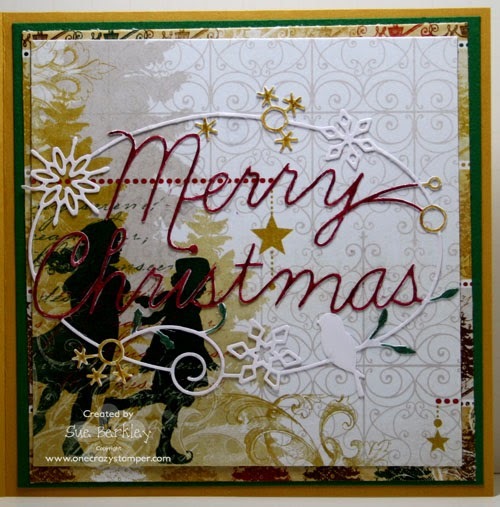 I've used this very cute Presents stamp by Whimsy, Bo Bunny papers and matching embellies. I coloured her with my copics, added glossy accents to her eyes and paper pieced the presents. I've made this colourful creation for my bestie, and can't wait to give it to her, I hope this brightened your day! And hey…. go on and get crafting and enter our "Winter/Holliday" Challenge, theres still time to play along! Happy Friday! So are you all set for Christmas yet? Do you have all your cards made and ready to hand out? Well hopefully this will not up set you but this is my last card I have to show you as I am all done my cards for this year and have them all signed and in envelopes ready to hand out or mail - Yeah!!! 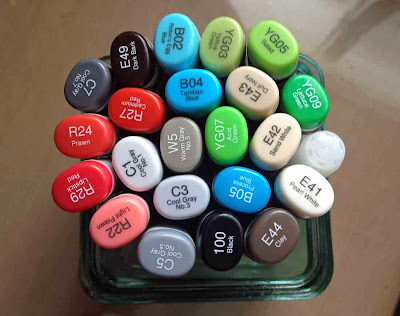 Copic Colours Used: * Antlers: E43, E42, E41 * Face: E49, E47, E44, E43 * Blacks: T8, T6, T4 * Toronto Maple Leaf Blue: B29, B28, B26, B24 * Whites: T2, T0, 0 * Hockey Stick: E27, E23 * Skate Blades: N2,N0 * Ice: BG000, 0 * Copic 0.03 Black Multi-Liner to add TML to the Hockey Stick and the tape marks on the stick too. So that is my card for today, what did you think? I sure hope that my Hubby likes it! Until Next Time, Keep Crafting & Merry Christmas!!! A Very Shiny Christmas to You!! !